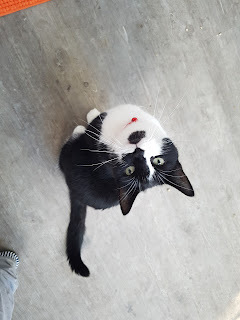 I want to ask you guys an important question: do you prefer my Favourites posts in their current format (with sub-categories, headings etc), or in a more informal, chatty style? I'm going to trial a more chatty style today as I tell you about my September faves; so please let me know what you think! 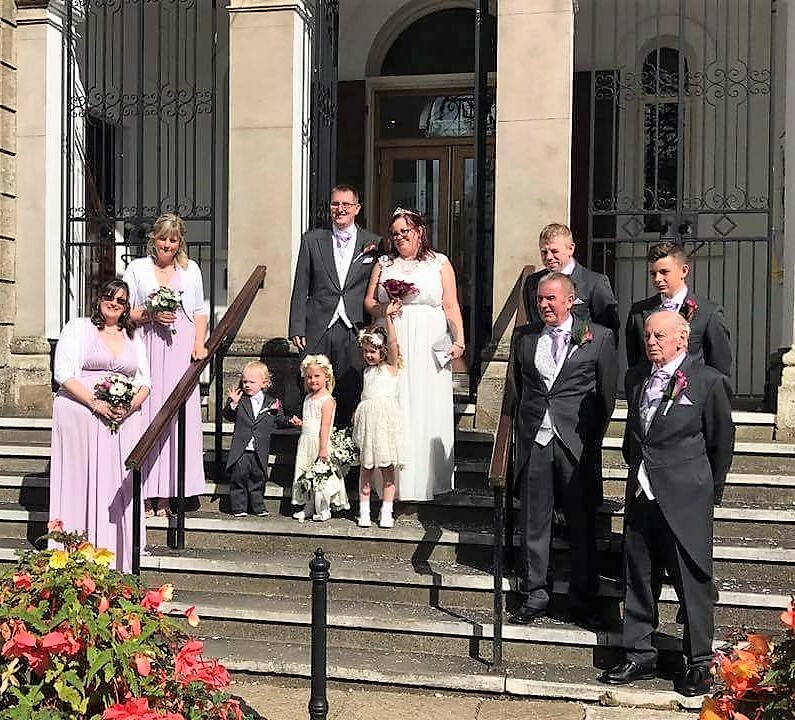 Of course, the highlight of September has to be our wedding day! It was a wonderful day, and will go down in history as one of my favourite days EVER. It still feels totally surreal that I'm now a WIFE. That I'm married. That the day we spent a whole year planning for has been and gone. 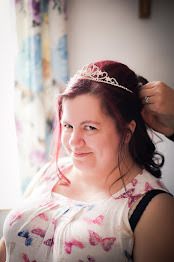 Above is one of my favourite photos from the day (so far, as we haven't received our official wedding photos yet, so this is liable to change!) It features us, the Bride and Groom. My grandfather, who gave me away, my new father-in-law, best man, my cousin, bridesmaids, flower girls and best man's son. Don't the little ones look adorable?! We were so lucky to receive some amazing wedding cards and presents. 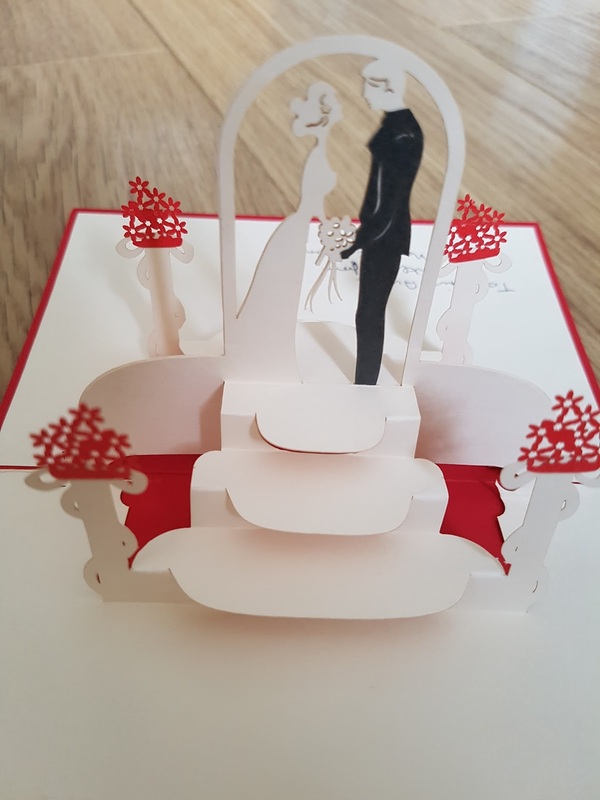 But one of our favourites was this gorgeous, cardboard pop-up/cut-out card. Such a sweet, thoughtful card; and very original. Don't tell my cat, but I really enjoyed spending time with these two cuties, Tommy and Robby. I took on cat-sitting duties for my old driving instructor, and I enjoyed my twice daily visits to these kitties for fuss and food! 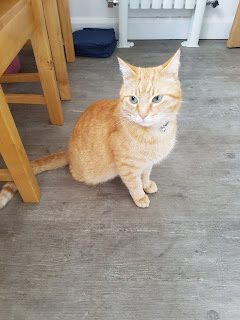 I mean, I wouldn't go so far as to say Tom and Rob are my favourite cats this month, because my Harley will always come first, but they were sweet. And it makes a change to have a different cat/s on my blog! I've been lusting after an Ohh Deer Agenda since reading Steph's post singing its praises. 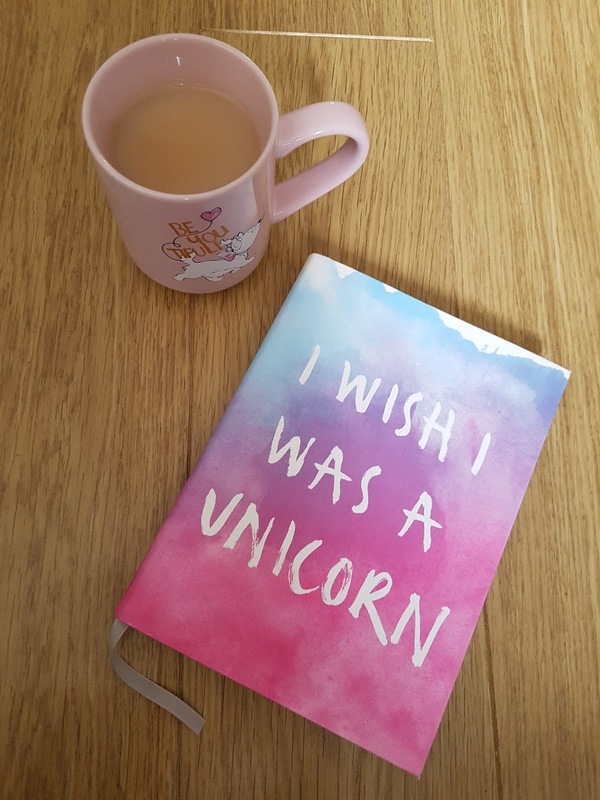 When I spotted this I Wish I Was A Unicorn Agenda in Urban Outfitters on a recent shopping trip, I knew I had to make it mine. I am all about all things unicorn, and since I've wanted an Agenda for so long? Well, it just had to be done! How could I not mention my trip to Warner Bros. 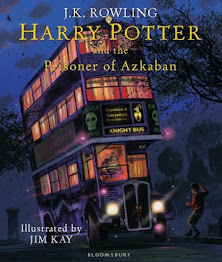 Studio Tour London - The Making of Harry Potter in my September Favourites?! I'll be writing up a whole separate blog post about my day trip, as I've got so many photos to share. But, suffice it to say, we had a fantastic day. And I spent far too much money (hooray for birthday money!) in the shop! And I couldn't not mention this fantastic unicorn balloon. 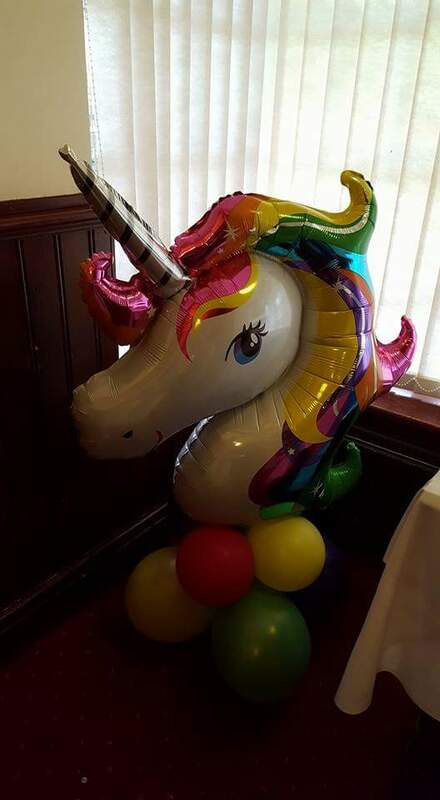 One of my bridesmaids, and her husband, went to great lengths to source this unicorn balloon on the morning of our wedding. My face just lit up when I saw it in our reception venue - it was a fantastic surprise, and meant a lot to me. So tell me, should I continue with the chatty, informal style, or revert to type? I like a chatty style, it suits this type of post. Aw those cats are so cute! 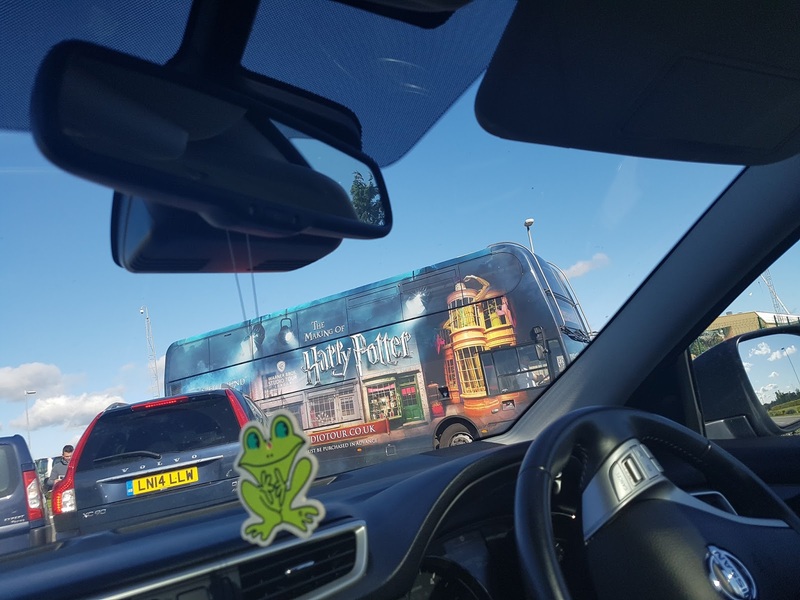 I've never clicked on an Insta story so quickly as when I saw you were at HP studios.